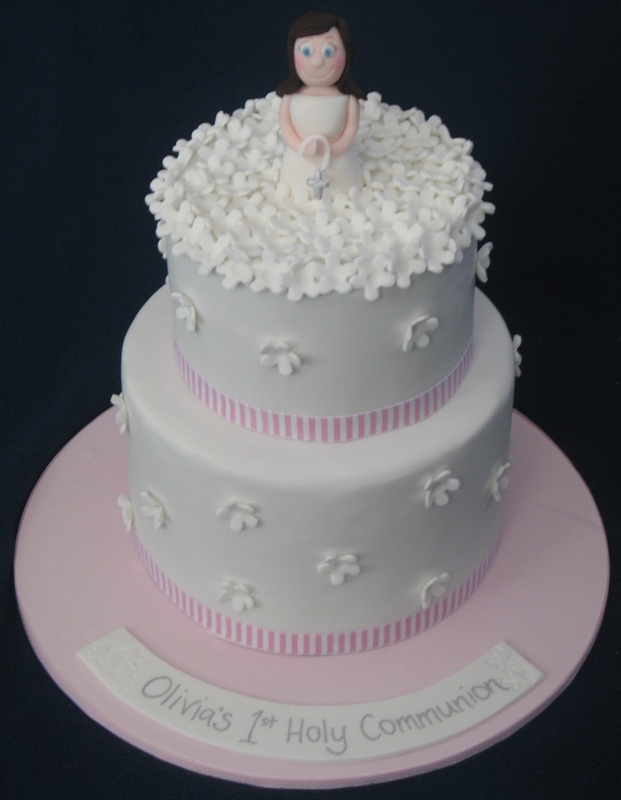 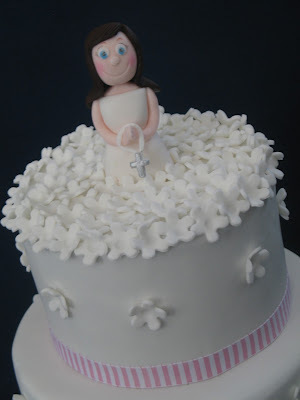 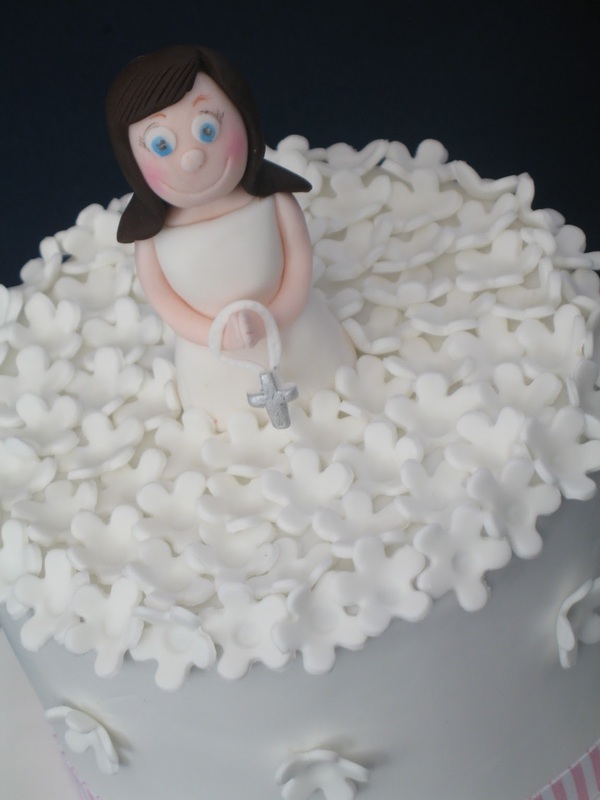 A special flowery cake creation to celebrate this special religious milestone. 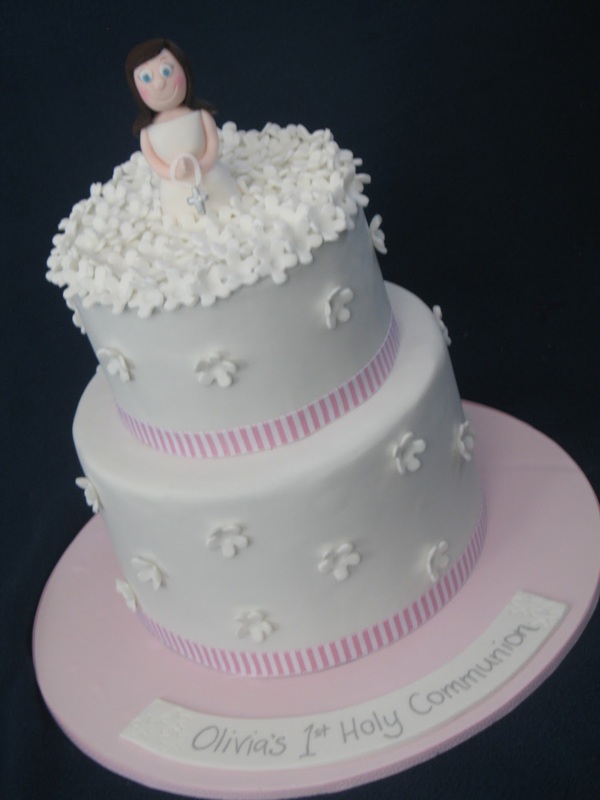 White with accents of pink decorated the 2 tiered cake and a praying girl in a bed of blooms adorned the top tier. The cake is a dark chocolate & white chocolate marbled mud cake. Congratulations for your First Holy Communion Olivia. Hi beautiful cake love it.....what size are the 2 cakes?